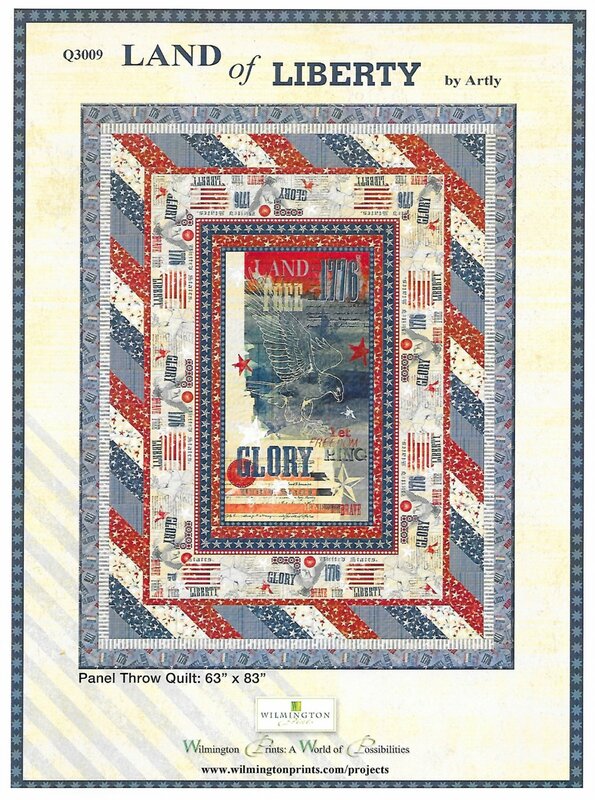 "Land of Liberty" throw sized quilt kit from Wilmington fabrics in red, white and blue. The kit includes full color pattern with cutting and piecing directions to make a 63" x 83" quilt top and binding. Center of quilt is a panel and the first border is a stripe, so it goes together very quickly!